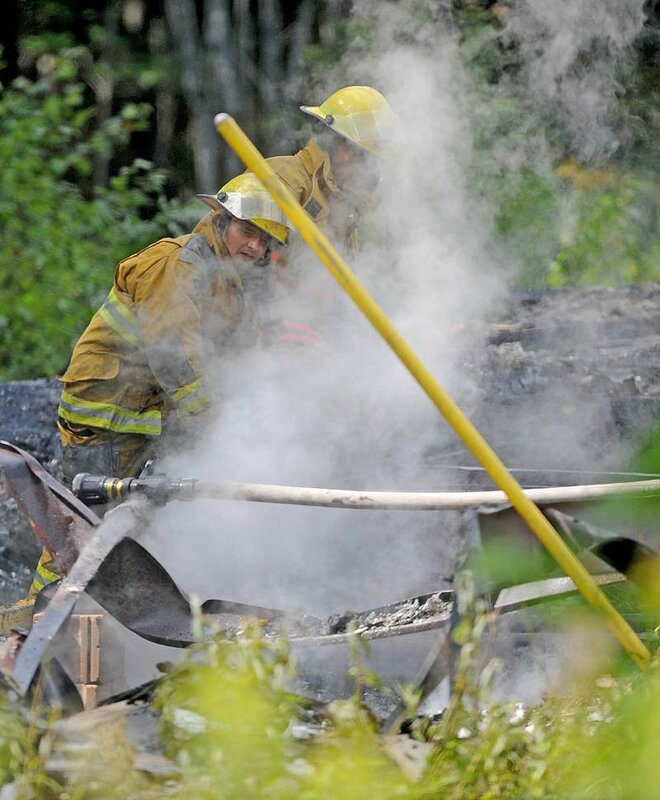 A mobile home on Pond Road in Burnham was destroyed Monday afternoon in a fire that required the efforts of four fire departments to extinguish. 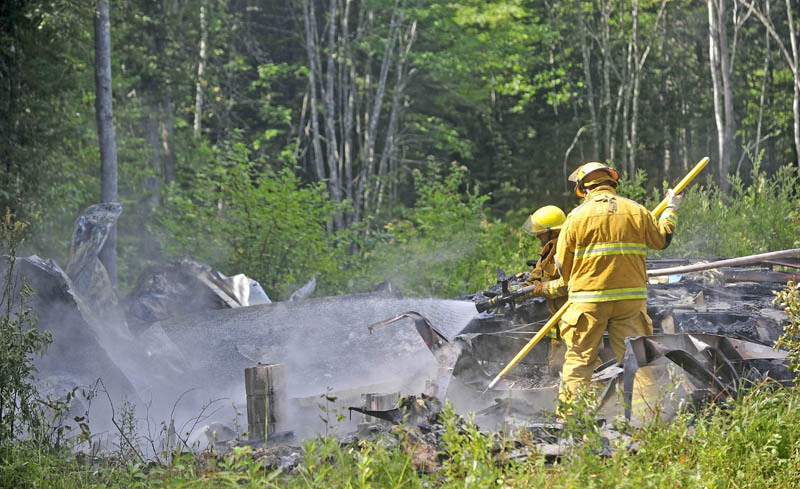 BURNHAM — A mobile home on Pond Road was destroyed this afternoon in a fire that required the efforts of four fire departments to extinguish. The 20 Pond Road structure belonged to Meldon MacDonald, 58, who lives in a different mobile home on the same property. He said he was sleeping when the fire broke out in the unoccupied building, an older structure that dates to 1970 or 1971. Although MacDonald had used the space for storage, he said he was planning to tear it down. Workers were using a grinder to cut metal on the mobile home when the fire started, said MacDonald. He said he believes the grinder played a role in the fire. Burnham assistant fire chief Charles King could not be reached for comment today. “The wheel on the grinder, which is used to cut the metal, produces a lot of sparks. Once it started it didn’t take long for it to become fully engulfed,” said MacDonald. He also said the mobile home, though mostly empty, contained flammable materials, such as newspaper and cardboard, and the roof was supported by wooden boards. MacDonald woke to the smell of smoke at around 2 p.m., he said, but went back to sleep because the men that were working on the mobile home, which is not visible from MacDonald’s home, told him they had the fire under control. He said that shortly afterward, he heard fire engines and went outside. By that time there were no flames showing and the mobile home had been reduced to a pile of smoldering rubble, MacDonald said. Harold Flood, a neighbor who lives at 124 Pond Road, said there was so much smoke in his yard that he thought his own garage was on fire. 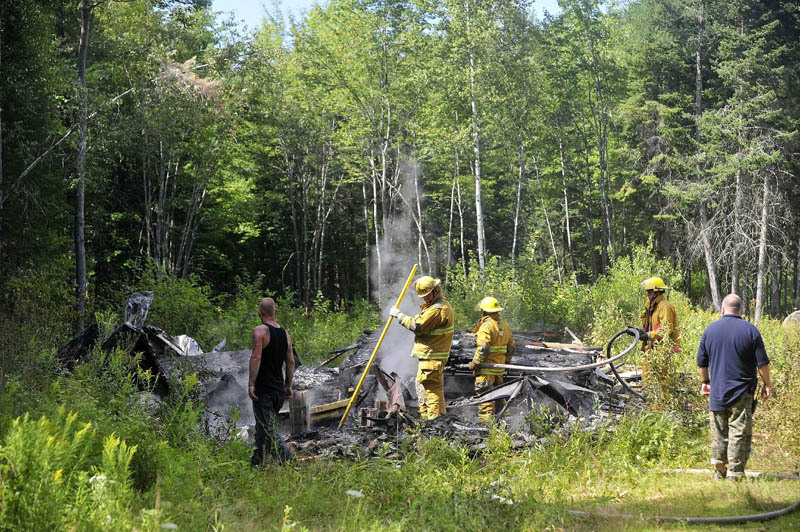 MacDonald said that the fire was reported by Maine Forest Service rangers who were flying overhead and saw the fire from their airplane. MacDonald said that no one was injured in the fire and that he did not consider the mobile home to be a major loss. Firefighters from Burnham, Pittsfield, Troy and Unity responded.